Embarking upon the mission of providing “Something Better”, Madhurash came into existence in 1983 with “designs that touch your heart”. In our journey of more than three decades, we have become a name to reckon with. We have redefined standards in wedding card industry and are consistently striving to achieve more in coming years. The company is the brainchild of Mr. Ajit Rajdev who carries with him a rich experience of more than three decades and has exquisite creativity and has catered to the who’s who of India and is expanding the horizon to cater to the growing and diverse needs of Indian Culture. Now, Badal, son of Ajit Rajdev is also working together and providing better experiences and quality printing works to their customers. Madhurash.com is a unique new venture to bring customization and individual expression to the art of inviting… A bold new foray into the World Wide Web where technology meets creativity to deliver products at your doorstep and make your shopping experience pleasant, sitting in the comforts of your house. In Bhuj – Kachchh, “Madhurash” is a reputed name and we are nick named “King of Wedding Cards” all over Kachchh District. We should say that the people of Kachchh have given us lots of moral support to brighten us as the “King of Wedding Cards” and we are thankful to “Kachchhi Madu“. After more three decades of meritorious services to the Wedding Card Industry and the good wishes of our esteemed clientele, we had spread our wings to Rajkot city of Saurashtra in April 2001. In a very short period of three years, Madhurash has become a reputed name in entire Saurashtra region. 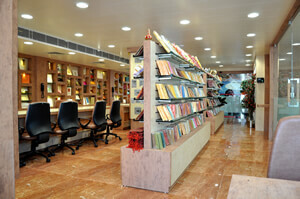 Now Madhurash has moved to a spacious and the biggest showroom of Wedding Cards of its kind in India. It’s the most exclusive showroom one has ever seen! In our journey of 32 years, our business has grown at a steady pace, going from strength to strength, thus building an enviable reputation for providing excellent services along with top notch innovative products. Our network has been increasing by leaps and bounds and we are consistently getting orders and new enquiries from various Indian and International markets. Currently, we export to USA, UK, Australia, Saudi Arabia, United Arab Emirates and various other countries of Europe & Africa as well. We are constantly improving our products portfolio and services. We have an exclusive showroom at Rajkot for the display which gives an awesome experience in terms of cards variety and service parameters. However we consider the entire world our market, hence an effort to portray our entire collection online, to give you extra convenience by shopping online while remaining in comforts of your homes. Whatever your requirements are, we are confident, we have. We owe our success to our ever growing portfolio that has shown confidence in us by continuous reorders for every occasion to make it that “Extra Special”. We have always tried to live up to their expectations by taking extra pains and going extra miles in satisfying them in terms of our exclusive range of products and timely services. 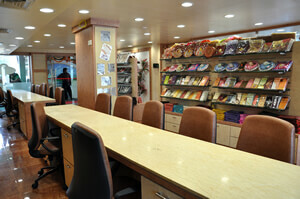 Our products are known for high international standards and appeal. We are poised to create waves in the Indian wedding cards industry. To enhance relationships and make events memorable and thereby spread happiness beyond imagination. We have a grand wedding card collection, increasing by every passing day. Our specialty lies in Luxury Wedding Invitations, Padded Wedding Cards, Hindu Wedding Cards, Sikh Wedding Cards, Muslim Wedding Cards, Christian Wedding Invitations, Royal Scroll, Designer Wedding Cards, Non-Religious Cards, Personal Wedding Cards, General Invitations, Engagement Invitation Cards, Birthday Cards and related items. We also deal in exclusive wedding accessories, gifts and favors. If you are looking for invitation cards, be it any occasion, we have a vast collection of items that will complement almost any person’s desire. The intricate designs of our cards are made artistically to suit every taste. They will appeal to the Connoisseur like you. 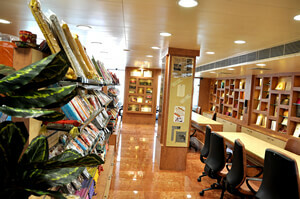 Browsing our categories would certainly give you an idea although it is just an glimpse of the range. What Sets us Apart ?? ¤ More than 2000 varieties of Wedding Cards to suit everyone’s taste and budget. ¤ Customized designs to your delight. ¤ Dedicated to the industry and always on the lookout for providing something new. ¤ Excellent extra services in terms of printing and courier. ¤ Catering to a diverse range of clientele in various countries. ¤ A one-stop super store for wedding cards and related services.